I received a sample product in order to facilitate this post. All opinions are my own. I am a real sucker for "As Seen On TV" products. I love them all, and as soon as I see something I like, I'm hooked! I just have to have it! One of the awesome products I've been wanting for awhile is the Air Curler, so when I got the chance to check it out, I was thrilled! If you haven't seen this thing before, you've been missing out! 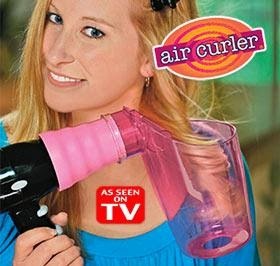 The Air Curler is a kinda weird looking device that attaches to the end of your hair dryer. You can direct the heat either way to make your curls go whichever way you choose. 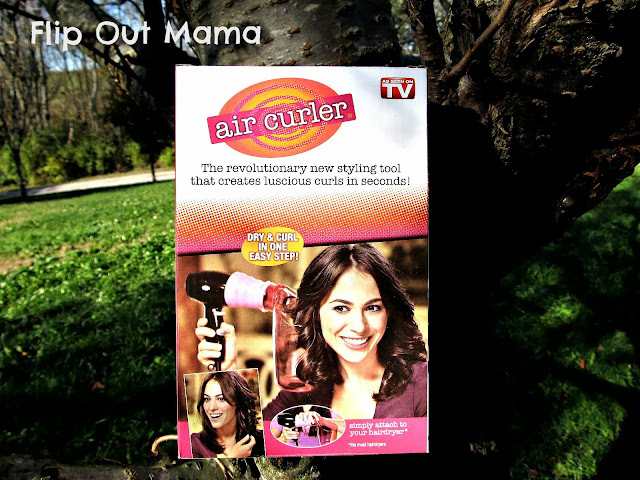 The Air Curler has a tornado-y vortex action that whips your hair around into nice little curls! This is a really nifty little product! Now, my hair is naturally curly, so I don't really need this, but I think it will be perfect for my niece. She loves to curl her hair, but she's only 13, so I don't think she needs to be damaging her hair with a curling iron already. Plus, I love that the Air Curler allows you to dry and curl in one easy step, which will save her time on her morning routine! 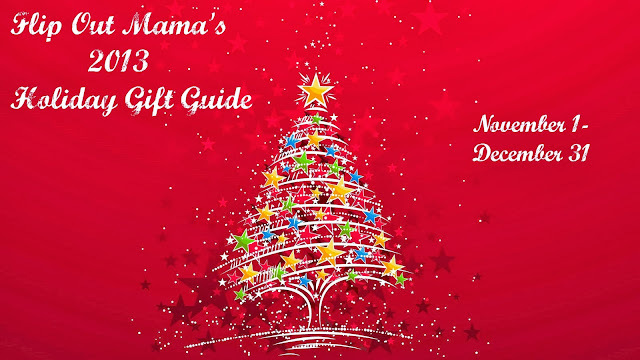 I love everything about the Air Curler, it is easy to use, and doesn't damage hair. It also doesn't take as long as other curling methods, like curlers or curling irons, so that is a plus too!